1. 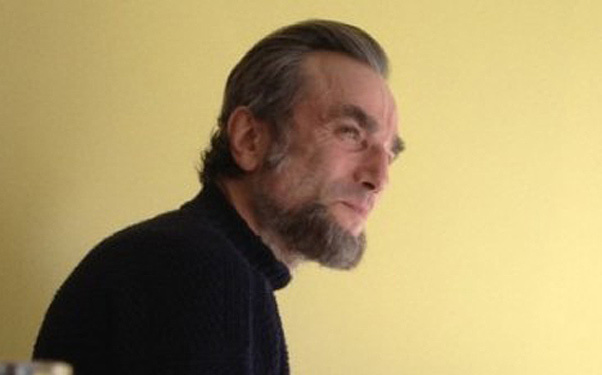 Lincoln - John Logan, Paul Webb, Tony Kushner – This still has to be the frontrunner for the screenplay prize. The contenders are dwindling. 2. Argo - Chris Terrio – The movie is steadily gaining buzz, and the screenplay will likely be the star of the film. 3. Life of Pi - David Magee – The material here seems very light and Oscar-friendly. It will likely be in the Best Picture field, so a screenplay nomination is assumed. 4. Silver Linings Playbook - David O. Russell – The trailer is lacking in areas, but the movie has a dynamite cast and a director that the Academy finally embraced. I would look for this to make a play in several categories. 5. 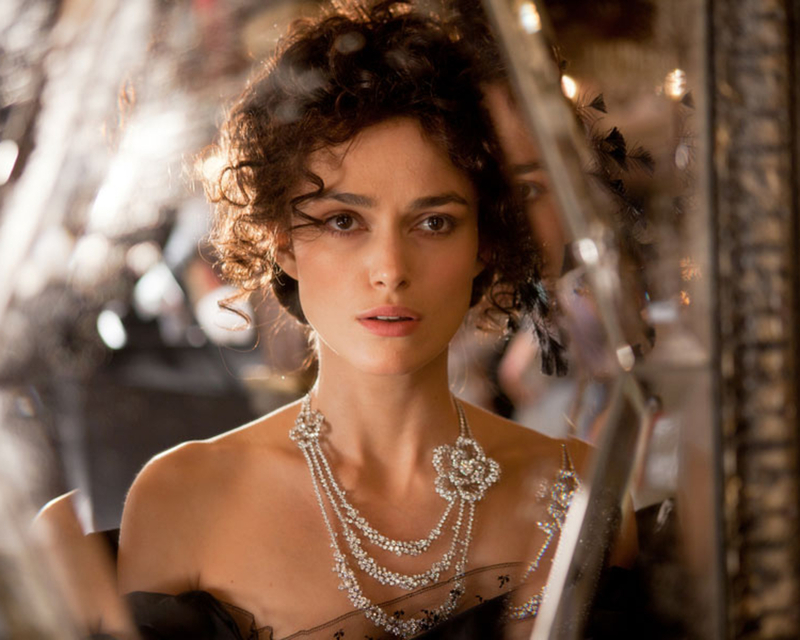 Anna Karenina - Tom Stoppard – The trailer was popular enough, and Stoppard is an Oscar winner. If this does not flop like so many costume dramas have done recently, this will be our fifth nominee. 6. Beasts of the Southern Wild - Lucy Alibar, Benh Zeitlan – The movie was a festival hit and a modest success at the box office. Critics loved it, so if it is as popular as some people are saying, it could easily slide into this category. 7. Les Miserables - William Nicholson – Screenplays based on musicals normally aren’t nominated, but there really isn’t much competition. This could be a default nominee. 8. Great Expectations - David Nicholls – This could be a solid screenplay, but the story has been done so many times. Maybe Mike Newell’s version will be better. 1. The Master - Paul Thomas Anderson – The trailers have been outstanding, and he should have won a couple times already. This could be the film to beat overall. 2. Hyde Park on Hudson - Richard Nelson – The screenplay seems quite good, and the actors obviously bring their game. This could be the little film like The Artist, The King’s Speech, or Slumdog that just sneaks up on everyone and that everyone underestimates right up until it takes home all the major Oscars. 3. Django Unchained - Quentin Tarantino – This seems to be the one film that has sustained anticipation and is the one sure-fire hit in the whole scenario. 4. Zero Dark Thirty - Mark Boal – No one really knows much about this movie, and with the way the awards seasons have gone the past few years, that is the best thing that they could ask for. 5. Love - Michael Haneke – Another Cannes winner for Haneke, but this one seems to be his real Oscar movie. Expect this to be treated like A Separation or even Pan’s Labyrinth if it is a hit at the box office. 6. Moonrise Kingdom - Wes Anderson – The film was a pretty solid hit at the box office, but it is a really quirky story. Anderson is not normally beloved by the Academy, but this one could be different. 7. Rust & Bone - Jacques Audiard, Thomas Bidegain, Craig Davidson – This movie sounds incredible, and early word on it is no different. Audiard is a genius, and this is probably his most accessible film to date. 8. The Sessions - Ben Lewin – The film sounds pretty odd, but there is always an indie wildcard in there. 9. Seven Psychopaths - Martin McDonagh – This crime story could be a big box office film, and the last film by McDonagh (In Bruges) secured a spot in a competitive screenplay category back in ’08. 10. Inside Llewyn Davis - Joel Coen, Ethan Coen – The Coens are always in contention, but this seems slightly different for them. It may not get released this year, but if it does, expect some precursors to cement its place in this category. 11. Imogene - Michelle Morgan – This could be the women’s sleeper film in the category. 12. Song for Marion - Paul Andrew Williams – There needs to be a British film making noise each year, and this could be that hit overseas that converts to American audiences seamlessly. 13. To the Wonder - Terrence Malick – I feel like a moron every time I predict a Malick film to get released in any given year. This could win it all, or it could be released in 2 years. It says “completed” and set to play at festivals, but I wouldn’t put it past Malick to toy with it again for several months and delay until late 2013. 1. Amy Adams - The Master – Adams has been a frequent nominee since her first mention in 2005, and this promises to be a great role for her. PTA gets the best out of all of his actors. 2. Anne Hathaway - Les Miserables – If her part is big enough, her nomination is obvious. She is probably the odds-on favorite right now, but I put her just behind the more likable Adams. 3. Olivia Williams - Hyde Park on Hudson – The movie looks like an actor’s film. It really depends on screentime, but I can see them all getting in. 4. Olivia Colman - Hyde Park on Hudson – If the love is as big for this movie as I am predicting, Colman can easily get a fair share of votes and get swept in. This would be like the Queen Latifah nom for Chicago. 5. Vanessa Redgrave - Song for Marion – Every year it seems like her performances are hyped and beloved, but she is always on the outside looking in. Weinstein will not let that happen to her with this film. 6. Sally Field - Lincoln – She is a two-time winner who has not been nominated in almost 30 years. She has the crucial wife role in the story. She could easily get nominated, but a third win for her would be a bit ridiculous. 7. Maggie Gyllenhaal - Won’t Back Down – This is going to be the very safe audience winner of the year, and Gyllenhaal looks like she could coast to another nom if it is as popular as it could be. 8. Kerry Washington - Django Unchained – Not too sure what her role is going to entail, and Tarantino has only had one actress nominated for his films, but you can never count out his crazy female roles. 9. Barbra Streisand - The Guilt Trip – This movie seems very silly, but this cast wouldn’t be signed on for just some piece of trash. Her last acting nom was in 1974. With plenty of veterans in the field, they could choose one of their most versatile ones (2 song, 2 acting, 1 producing nom). 10. Jessica Chastain - Lawless – She has about 4 films that she could secure a nom for, but this one seems to be her most interesting. Her abrupt rise to fame has been insane. 11. Gemma Arterton - Song For Marion – The Weinstein backing can make anything happen. If she has some classic scenes with Redgrave, Stamp, and the rest of the cast, her nom will become more and more likely. 12. Maggie Smith - Quartet – The film is full of beloved veterans, Smith being perhaps the star of the ensemble piece. Under the direction of Dustin Hoffman, she could deliver another incredibly memorable and likable character. 13. Kristen Stewart - On the Road – I don’t want to count her out yet, but the film is in limbo and her personal problems are probably casting an ever-darkening shadow on her chances. 1. 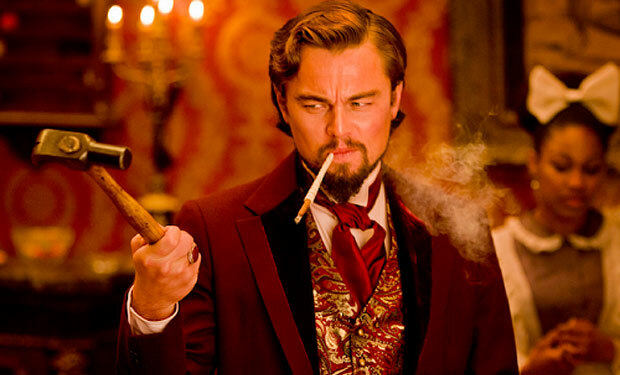 Leonardo DiCaprio - Django Unchained – His role looks like an instant-classic. I can’t wait to finally see him gather some long-deserved awards. 2. Philip Seymour Hoffman - The Master – What else is there to say about Hoffman? He will coast to a nomination, and with the right campaign, he could easily take the award from DiCaprio. 3. Dwight Henry - Beasts of the Southern Wild – If the film can sustain momentum until awards season, then Henry will likely receive a John Hawkes-style “surprise” nomination. 4. Joel Edgerton - Zero Dark Thirty – I obviously have no clue what his character will be like, but with The Great Gatsby getting delayed, this film could finally be the one that singles out one of the best under-the-radar actors working today. 5. Samuel West - Hyde Park on Hudson – This would be a pretty random person getting nominated, but him playing royalty in a film filled with talent and great characters, he has to be on the shortlist. 6. Bradley Cooper - The Place Beyond the Pines – Playing opposite Gosling will make for his best work of his young and blossoming career. Derek Cianfrance directing him is so intriguing. 7. William H. Macy - The Sessions – Playing a priest in this indie darling, Macy will likely be a scene-stealer. Hard to believe he only has one nom. 8. Russell Crowe - Les Miserables – He is going to have the scenes to really shine, and if he can nail the singing…actually no, Depp got a nom for a musical. Singing probably doesn’t matter. 9. Aaron Johnson - Anna Karenina – He is a rising star, and he looked brilliant in that trailer. This would be a very cool addition to the race. 10. Michael Caine - The Dark Knight Rises – If they want to throw a bone to the overrated superhero picture, I would hope that they award Caine, the best part of the film. 11. Paul Giamatti - Cosmopolis – Cronenberg directing Giamatti. I cannot wait. 12. Robert De Niro - The Silver Linings Playbook – This promises to be his best character in several years and his best shot at a nom since…Casino? It has been a while. 13. Brian Cranston - Argo – Riding his Emmy train to an Oscar nomination is not out of the question. The Academy does like Affleck-directed performances, so he has as good of a shot as anyone. 14. David Strathairn - Lincoln – He is a well-respected actor, and with this material, he could be the subtle character out of the cast of boisterous actors that gets singled out. 15. John Goodman - Inside Llewyn Davis – Goodman is having a bit of a comeback, and his best work is always in Coen films. 1. Keira Knightley - Anna Karenina – She is still my frontrunner, and until the release of the film proves otherwise, I can’t really see that changing. 2. Marion Cotillard - Rust & Bone – Early word on the film is terrific, and Cotillard looks like she really brings it. It is too early for her to get a second win, but a nom here is very likely. 3. Laura Linney - Hyde Park on Hudson – Her part looks like one that she will nail. Even though she isn’t one of our most popular actresses, the Academy loves her. 4. Quvenzhane Wallis - Beasts of the Southern Wild – She could be one of our youngest nominees ever. She certainly deserves it, and if the film can sustain its buzz, it will be a no-brainer. 5. Meryl Streep - Hope Springs – I would be a fool to count her out. The film got solid marks from critics, so this is basically a slam dunk, right? 6. Helen Hunt - The Sessions – I am not sure how many noms this film will get, but it seems like it will be contending in almost all of them. Hunt needs a validation nom at some point. 7. Emmanuelle Riva - Love – The leads in the film got high praise at Cannes. I wouldn’t be surprised if they both wind up getting in. Or maybe just Riva, much like Julie Christie in Away from Her. 8. Viola Davis - Won’t Back Down – This could be another shot at Davis trying to weep her way to an Oscar. The material is so Oscar-friendly, that I almost feel like she should be higher on this list. 9. Naomi Watts - The Impossible – I feel like I am trying to convince myself of her candidacy every year. This sounds like pure Oscar stuff, though. 10. Abbie Cornish - The Girl – The material sounds a bit like Frozen River, but maybe that’s a good thing. Cornish will get her share of nominations in her career, but she should have at least two already. 11. Dakota Fanning - Now Is Good – This sounds very My Sister’s Keeper-ish, but it ain’t Nicholas Sparks. This could finally be Fanning’s day in the sun. 12. Julianne Moore - What Maisie Knew – At some point she will win. This is probably not that performance, but these relationship dramas are always contenders. 13. Ziyi Zhang - The Grandmasters – I want this to be a big hit, and if it is, Zhang is probably going to stand the best chance at a nom. She has been in and around the race several times. 1. Bill Murray - Hype Park on Hudson – He is always giving brilliant performances, yet he only has that one nom for which many people thought he should have won. He looks like he nails the part. 2. Daniel Day-Lewis - Lincoln – I find it almost impossible to think he won’t get nominated, but three Oscar wins for him would be quite a feat. I don’t know if the Academy is ready for him to join that class. 3. Ryan Gosling - The Place Beyond the Pines – With his other major film getting delayed, his chances of getting an unfortunate vote split are gone. If Cooper is in and around a nom, then Gosling will almost certainly be invited. 4. Christopher Plummer - Barrymore – Playing legendary actor John Barrymore seems like a can’t-miss for the recent Oscar winner. He needs a leading nom now, I suppose. 5. Joaquin Phoenix - The Master – This would be a great story for him to have made it all the way back after his falling out a few years ago. Every PTA film has career-best work from its lead. 6. Suraj Sharma - Life of Pi – This seems like an Oscar hit, and the leads (no matter how unknown) of Oscar films have had very clean track records recently. 7. John Hawkes - The Sessions – Not sure how beloved this film will be, but Hawkes has had quite a rise the past few years. This leading nom would officially make him an actor to be reckoned with. 8. Clint Eastwood - Trouble with the Curve – The Academy has definitely cooled off from the Clint love, but this role seems so perfect for him. 9. Jean-Louis Trintignant - Love – If one of the leads gets nominated, I assume the second would be swept in as well. 10. Hugh Jackman - Les Miserables – He doesn’t deserve to be an Oscar nominee, but his performance here will likely have the wow moments that they are looking for. 11. Jamie Foxx - Django Unchained – Tarantino’s leads aren’t normally singled out, but this role just seems to be so flawlessly-written that it may be impossible to ignore. 12. Terence Stamp - Song for Marion – The role seems tailor-made for an actor like Stamp to get revalidated. 13. Tom Hardy - Lawless – I am unsure if this is really an Oscar film, but Hardy looks incredible in it. He will be a frequent contender every year now. 14. Richard Gere - Arbitrage - The film is steadily gaining buzz, and with Gere never being nominated, this could be the type of role that they finally wanted to see him play. 15. Bradley Cooper - Silver Linings Playbook – If the film is loved and he doesn’t live up to the hype with his other film, then perhaps his leading role opposite his idol De Niro could be the spot for him to snag a nomination. 1. Paul Thomas Anderson - The Master – Had No Country not been such a unanimous hit, then PTA would have won already. This film is his best attempt at giving the Academy what they want. 2. Tom Hooper - Les Miserables – His recent win for the ridiculously popular The King’s Speech got people paying attention to him, and this film is just Oscar stuff, pure and simple. 3. Roger Michell - Hype Park on Hudson – The film is likely going to be a smash hit with the actors, so the director of those performances will likely be rewarded as well. 4. Quentin Tarantino - Django Unchained – With all the crazy hype, I just can’t see this failing to the point that QT can’t get a nomination here. 5. Kathryn Bigelow - Zero Dark Thirty – Even if the film is not completely embraced, she will likely direct it furiously and receive a Paul Greengrass-type nomination. 7. Michael Haneke - Love – If he gets a nom here, then this could be one of the films to beat. I can’t see it happening, but it really feels like an Oscar darling. 8. Ben Lewin - The Sessions – This will be an uphill climb for him, unless his film is the unanimous indie darling with the precursors, in which case this nomination will come quite easily. 9. Ang Lee - Life of Pi – I don’t know exactly what to expect from this, but Lee has had a decent track record with the Academy. 10. Joe Wright - Anna Karenina – He still hasn’t gotten that first nom, and he probably will still have to wait, unless this just sweeps everyone off their feet. 11. Joel Coen, Ethan Coen - Inside Llewyn Davis – They are always contenders in this category. 12. Peter Jackson - The Hobbit: An Unexpected Journey – This may be an obvious nom if the film gets the kind of reviews of its predecessors. 13. Benh Zietlin - Beasts of the Southern Wild – He could get swept in with his film with the right kind of campaign. 14. Ben Affleck - Argo – Definitely his most ambitious film yet, and maybe the one that finally gets him his deserved directing props. 15. Jacques Audiard - Rust & Bone – He is the type of director who could get a lone director nom, but the film promises to be much more of a threat. 16. Terrence Malick - To the Wonder – I don’t know what the status of the film is, but he is going to be formidable competition until he wins. 1. The Master – This seems like the kind of film that will secure the first place votes to take the top prize. Given a few of the previous winners, box office is not an issue in this category. 2. Hyde Park on Hudson – It is the British movie with the character drama that the Academy has fallen for recently. Look for this to make a serious push at winning. 3. Les Miserables – The musical will be a welcome addition to the race. The last one nominated in this category was Chicago. 4. Django Unchained – With the kind of box office it will receive and with all of QT’s fans, this will be an almost no-brainer nom. 5. Lincoln – It has everything going for it, other than being the odds-on favorite. The backlash has killed the last dozen of those, it seems. 6. Life of Pi – The sentimental content will likely warrant a pretty clear nomination in this category. 7. Zero Dark Thirty – This is all on potential, but I see this being one of the most talked about movies of the season. 8. The Hobbit: An Unexpected Journey – The franchise has its fans, probably enough to grab the 5% of the votes needed. 9. Love – Foreign films have not broken through in quite some time, but if any has a chance this year, it will be Haneke’s film. 10. Anna Karenina – I feel like this could be Wright’s most popular film yet. If Knightley really is looking like she will win, I expect a nomination here. 11. The Sessions – With these smaller films, it is all about how it translates to the public. It needs a great box office to be considered. 12. Argo – I can see this getting one of the spots if it nails the reviews. The box office will be there, but this needs to be Affleck’s most acclaimed film to date. 13. To the Wonder – Even if it is not a big hit, there will still be tons of voters wanting Malick to get invited again and again. 14. Beasts of the Southern Wild – I am not buying that it can get in this category, but everyone else seems to be. It was a fine film, and if it can sustain that all the way until February, I will be pleasantly surprised. 15. Inside Llewyn Davis – The Coens can do no wrong in the eyes of the Academy, so this has to be one of the more obvious contenders. What do you all think? Agree/Disagree with anything? What are your predictions? Did I space on any big contenders? Let me know in the comments or hit us up on Facebook.